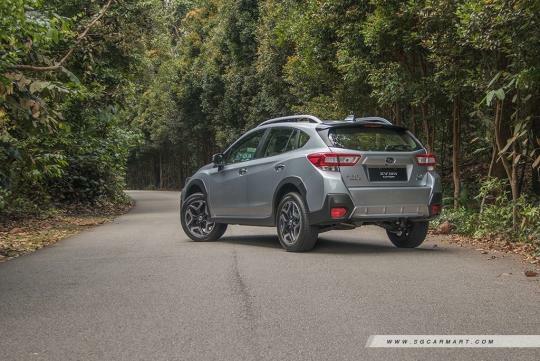 Subaru America has announced that its Crosstrek a.k.a XV as we know it in Singapore, will have a plug-in hybrid variant soon. Targeted to go on sale in the United States nearing the end of this year, the Crosstrek Hybrid promises to be an 'advanced, eco-friendly version' of the car. Details of the car remain unknown for now but the car will still be using the Subaru Global Platform like the normal car as it has been designed to accommodate hybrid and electric powertrains. It is likely to use the company's own boxer engine and will have a Toyota-sourced plug-in hybrid system. The all-wheel drive model can be powered exclusively by electricity or by a combination of the car’s petrol engine and electric motor. Since the powertrain is based on the Prius plug-in hybrid, the Crosstrek or XV is likely to have a similar electric-only range. In the Prius plug-in hybrid, the car has a total power output of 97bhp and can do 68km on electric power alone.